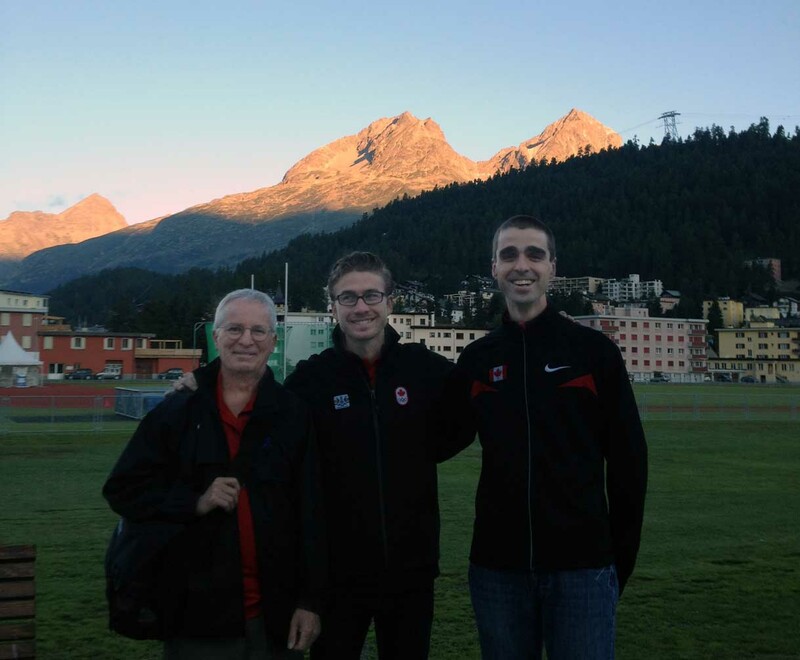 While both Ben Thorne and Evan Dunfee were busy with their International competitions Inaki Gomez was actively pursuing his next phase of preparation for the Olympics in London. Based on his earlier success with performing after training at altitude we decided that another altitude session would be the right type of preparation for the Olympic race. Another factor in Inaki’s performance success was in working closely with the Australian walks team. When we found that the Australian’s were inviting Inaki to train with them again at their altitude camp in St. Moritz we jumped at the chance. 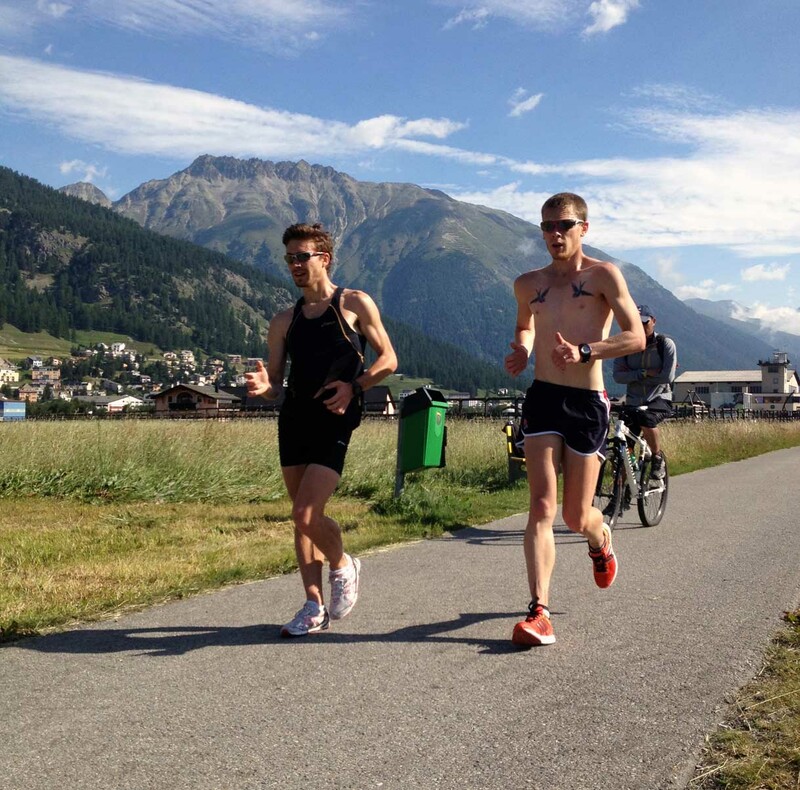 The sessions in St. Moritz started slowly with performance being challenging in the mile high atmosphere. Over the three week period that Inaki was working at altitude this changed into Inaki being able to meet or exceed prior performance levels. He was getting faster for longer periods, just what we were looking for. Blair Miller and I joined Inaki for his final week in St. Moritz in part to observe his progress and in part to enjoy the place. St. Mortiz in the summer is far more accessible for the non-filthy rich than it is in the winter. After several days of invigorating and steadily improving workouts we were ready for the next phase in our preparation, the Athletics Canada training camp at the Sportcentrum in Kamen, Germany. We want to be able to create a source for useful information about our sport. We hope to create lively discussion and an exchange of ideas and best practices from everywhere around the globe. Because we have made this site open to anyone we reserve the right to refuse to post abusive comments or material. We also reserve the right to determine what is abusive. From time to time we will be posting material, interviews and discussion with some of the top athletes and coaches wherever we find them.